This majestic Castle, one of the most beautiful feudal residences of all Europe stands at approx. 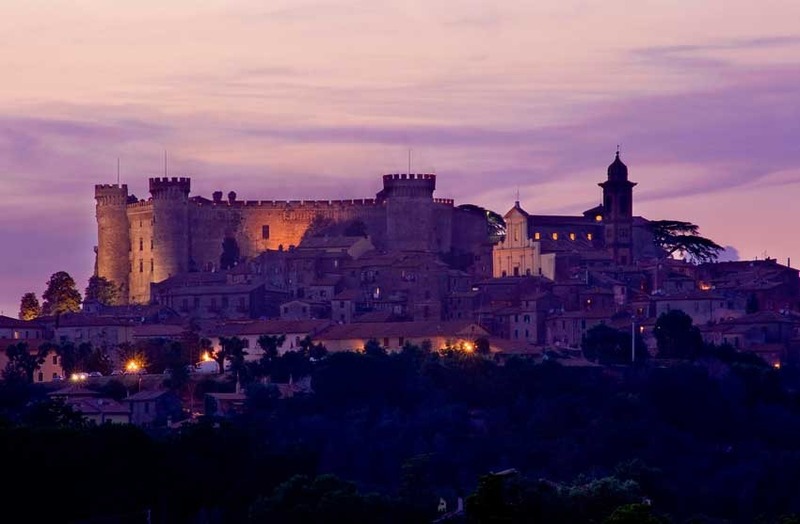 one hour distance from Rome, on the shores of Lake Bracciano. 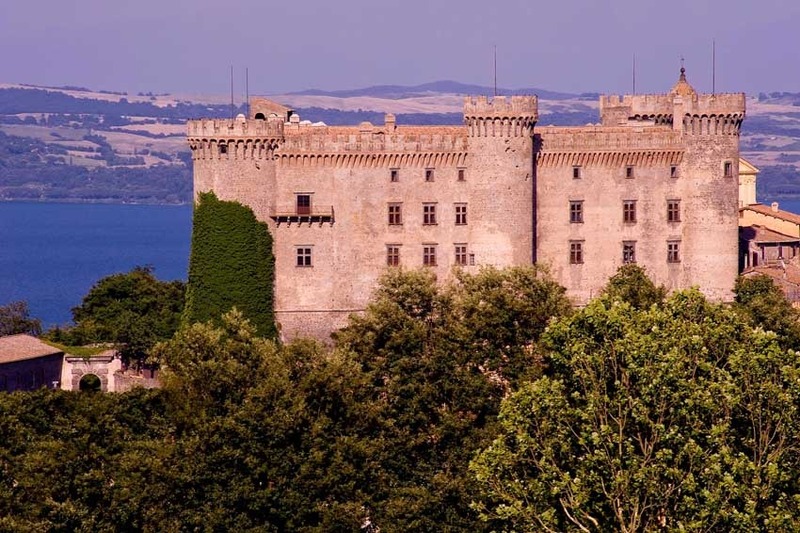 This imposing as well as harmonious fortified structure is not only an excellent example of military architecture, but on the inside it also contains a series of highly refined elegant living areas. 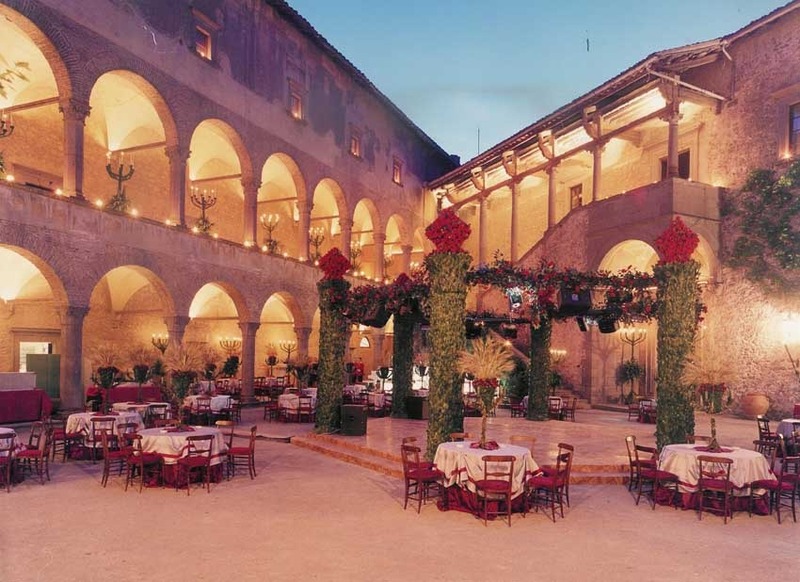 Thanks to these features, the halls, the inside courts, the secret garden and to the consecrated church, it became the ideal setting for fashionable events, top class weddings and conventions. 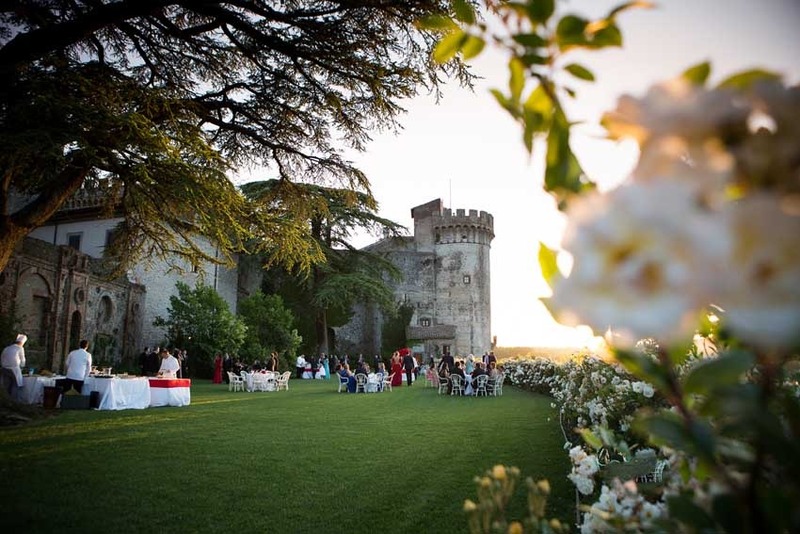 The castle can host more than one thousand people between the inside and outside areas, but thanks to the disposal of the inside halls and secret corners, it is suitable for small groups of 100/200 guests too. It is possible to organize Catholic ceremonies in the consecrated church located right under the huge fortress connected to the Castle by a secret tunnel. 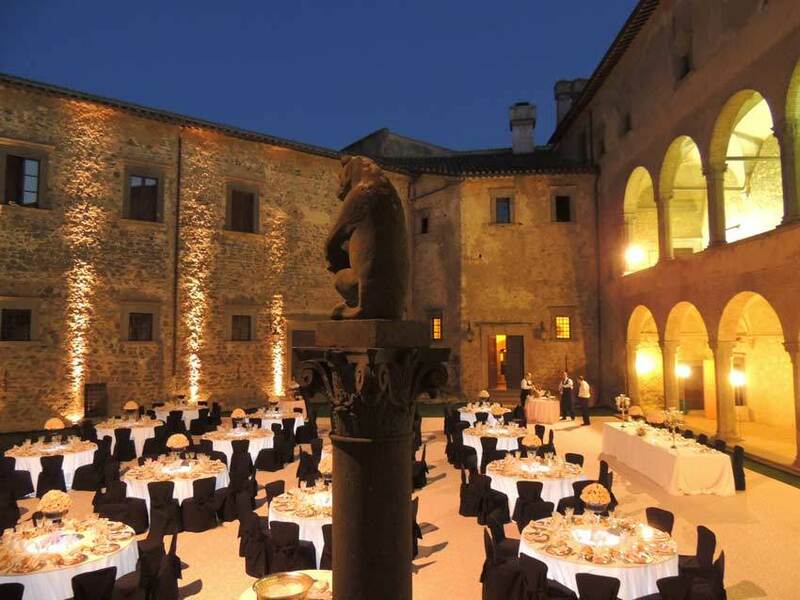 Blessings or symbolic ceremonies can be organized in the castle secret garden, in one of its halls and beautiful arched cloisters and courts. 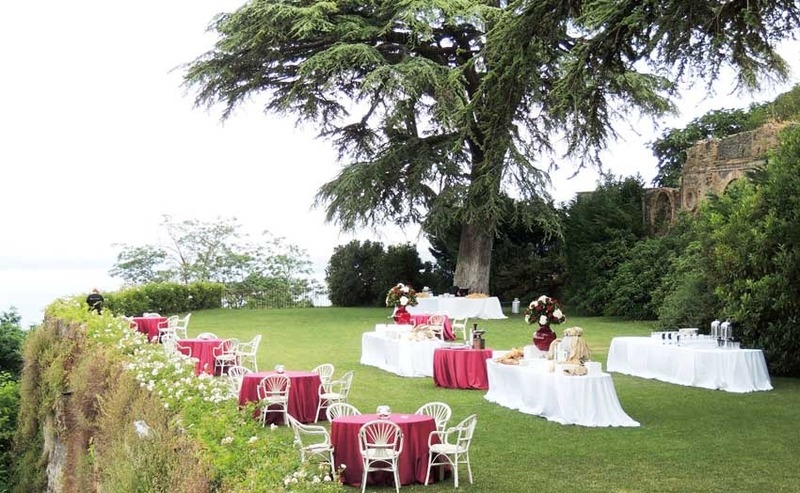 The use of the areas depends on the number of guests attending, The aperitif is generally organized in the secret garden because thanks to its high position the views of the countryside and lake are magnificent. 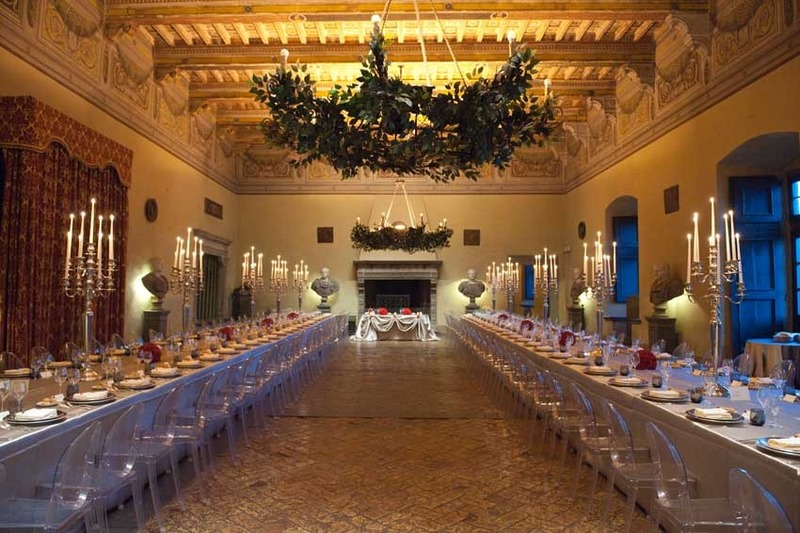 The Cesar hall or other frescoed halls are used for dinner and one of the courtyards can be set up for the cutting of the cake and dancing. 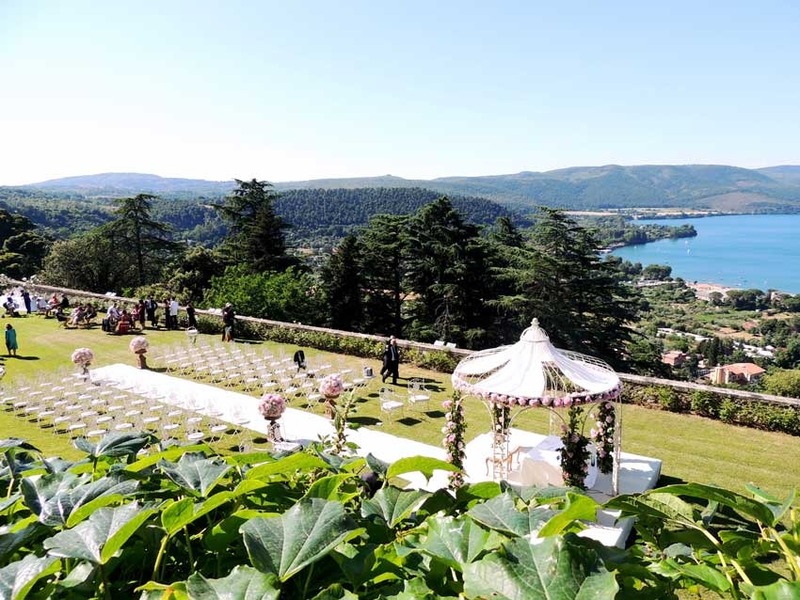 Each solution includes the exclusive use of the Castle for the event, use of the Victoria hall for the preparation, use of internal parking area for approx 50 cars, assistance of castle’s personnel and toilette attendant. Customized menus will be chosen according to the couple's tastes and requirements. The cost of menu includes the equipment such as elegant table linen, nickel silver, fine silk screened crystal ware and high quality china. It also includes the waiters till 12.30 a.m. (sommelier service on your request). Catering service. Rental fees vary according to number of guests and period of the year. The Castle has no accommodation on site. We recommend to accommodate your guests in the city of Rome. The Castle is open all year round. Advanced booking of one year is highly recommended.